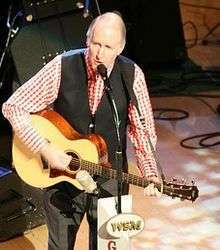 George Hege Hamilton IV (July 19, 1937 – September 17, 2014) was an American country musician. He began performing in the late 1950s as a teen idol, later switching to country music in the early 1960s. Hamilton was born in Winston-Salem, North Carolina, on July 19, 1937. While a 19-year-old student at the University of North Carolina at Chapel Hill, Hamilton recorded "A Rose and a Baby Ruth" for a Chapel Hill record label, Colonial Records. The song, written by John D. Loudermilk, climbed to No. 6 on the United States Billboard Hot 100 chart. By 1960, "A Rose and a Baby Ruth" had attained gold record status for ABC-Paramount (which had acquired the song from Colonial). The self-penned B-side of the record, "If You Don't Know", revealed Hamilton's ambitions to be a rockabilly-country singer. In late 1959, Hamilton moved his family to Nashville, Tennessee to further his work as a country musician. On February 8, 1960, Hamilton officially became a member of the Grand Ole Opry. Later that same year, he began recording for RCA Records, having been signed by Chet Atkins. In the UK he was less successful, with his biggest hit being "I Know Where I'm Going" in 1958. In 1984 he appeared with Billy Graham on his UK tour 'Mission England' and made other appearances as a solo performer in venues around the UK at this time. Hamilton's breakthrough hit was the 1961 song "Before this Day Ends". His biggest hit came two years later with "Abilene", another song penned by Loudermilk and Bob Gibson. The song spent four weeks at No. 1 on Billboard's country singles chart and reached the Top 20 of the Hot 100. The success of "Abilene" was followed with the song "Fort Worth, Dallas or Houston" (a Top 5 hit in late 1964). By the mid-1960s, Hamilton's music began showing a decidedly folk influence. This was especially evident with 1966's "Steel Rail Blues" and "Early Morning Rain" (both by Gordon Lightfoot), and 1967's "Urge for Going" by Joni Mitchell. Another 1967 hit was "Break My Mind" (by John D. Loudermilk). One more Hamilton song of this genre was a moderate hit in 1969—the Ray Griff-penned "Canadian Pacific". His last Top 5 single came in 1970, with "She's a Little Bit Country". After his American chart success declined in the early 1970s, Hamilton began touring the world, across the Soviet Union, Poland, Australia, the Middle East and East Asia. These widely acclaimed international performances earned Hamilton the nickname The International Ambassador of Country Music. He also hosted several successful television programs in the UK and Canada during the 1970s, and in the 1990s he played himself in the West End musical Patsy, based on the life of Patsy Cline. In 2004, he recorded an acoustic gospel album with producer Dave Moody titled On a Blue Ridge Sunday which earned Hamilton a Dove Award nomination in the "Best Bluegrass Album of the Year" category by the members of the Gospel Music Association. A single from the album, "Little Mountain Church House", won nominee recognition in the "Best Bluegrass Recorded Song" category the following year. Until the very late years of his life, Hamilton was a regular at the Grand Ole Opry in Nashville and in country shows throughout the U.S. and the UK. He mainly concentrated on gospel tours both at home and abroad. In 2007 he collaborated with Live Issue, a group from Northern Ireland, to record a live album based on the life of Joseph Scriven, who wrote the hymn "What a Friend We Have in Jesus". The two also toured together again in 2009. In 2008, Hamilton released a parody of his classic hit "Abilene" in the height of the soaring U.S. gas prices called "Gasoline". The acoustic single featured "The Oil Spots" (a.k.a. The Moody Brothers & George Hamilton V) and became a hit with audiences during Hamilton's Opry appearances. Hamilton was also a regular participant in the Country's Family Reunion video series. In 2010, Lamon Records released the album Old Fashioned Hymns, recorded transatlantic with producers Dave Moody in Nashville and Colin Elliott in Ireland. Hamilton was joined on the 28-track collection by a number of musical guests, including Ricky Skaggs, Marty Stuart, Gail Davies, Pat Boone, Del McCoury, Bill Anderson, Connie Smith, Tommy Cash, Cliff Barrows, George Beverly Shea and many others. Hamilton had a heart attack on September 13, 2014, and died on September 17 at Saint Thomas Midtown Hospital in Nashville. On September 24, the Ryman Auditorium hosted a memorial service which include performances by Marty Stewart, Ricky Skaggs, The Whites, Jett Williams, Gail Davies, Connie Smith, Dave Moody, Jimmy Capps, Barry and Holly Tashian, The Babcocks, Andrew Greer and Cindy Morgan. English music historian and journalist Tony Byworth, music writer and author Frye Galliard, artists and songwriters John D. Loudermilk and Bill Anderson, Grand Ole Opry general manager Pete Fisher, and WSM announcer Eddie Stubbs all shared stories of Hamilton's life and career during the memorial. The service concluded with "Amazing Grace" performed on bagpipes by Nashville Pipes and Drums Pipe Sergeant David Goodman. The North Carolina Board of Transportation voted to name a bridge on Business 40 for Hamilton. The ceremony naming the bridge was held on July 19, 2016, which would have been Hamilton's 79th birthday. A"Abilene" also peaked at No. 4 on Hot Adult Contemporary Tracks. B"Canadian Pacific" also peaked at No. 9 on the RPM Top Singles chart in Canada. 1968 "The Canadian Railroad Trilogy" 3 "It's My Time"
1971 "North Country" 3 "West Texas Highway"
1972 "The Child's Song" 3 "Country Music in My Soul"
Wikimedia Commons has media related to George Hamilton IV. ↑ Murrells, Joseph (1978). The Book of Golden Discs (2nd ed.). London: Barrie and Jenkins Ltd. p. 82. ISBN 0-214-20512-6. ↑ "George Hamilton IV". Grand Ole Opry. Retrieved June 29, 2012. ↑ "Opry Member List PDF" (PDF). April 23, 2012. Retrieved June 29, 2012. ↑ "Inventory of the George Hamilton IV Papers at the University of North Carolina at Chapel Hill". Lib.unc.edu. Retrieved 18 September 2014. ↑ "GMA Press Room Online". Gospel Music Association. ↑ "Official Live Issue Website". Liveissue.ik.com. Retrieved 18 September 2014. ↑ "Opry star George Hamilton IV dead at age 77". The Tennessean. Retrieved September 17, 2014. ↑ "George Hamilton Iv Memorial Service". Spoonercentral.com. 2014-09-24. Retrieved 2015-08-17. ↑ "2010 Inductees". North Carolina Music Hall of Fame. Retrieved September 10, 2012. ↑ Evans, Meghann (October 9, 2015). "Business 40 bridge named after George Hamilton IV". Winston-Salem Journal. ↑ Hinton, John (July 19, 2016). "Winston-Salem bridge renamed in honor of music star George Hamilton IV". Winston-Salem Journal. ↑ "George Hamilton IV Album & Song Chart History - Country Albums". Billboard. Prometheus Global Media. Retrieved June 13, 2011. ↑ "George Hamilton IV Album & Song Chart History - Billboard 200". Billboard. Prometheus Global Media. Retrieved June 13, 2011. ↑ "George Hamilton IV Album & Song Chart History - Country Songs". Billboard. Prometheus Global Media. Retrieved June 13, 2011. ↑ "George Hamilton IV Album & Song Chart History - Hot 100". Billboard. Prometheus Global Media. Retrieved June 13, 2011. ↑ "Results - RPM - Library and Archives Canada - Country Singles". RPM. Retrieved June 13, 2011. ↑ "Results - RPM - Library and Archives Canada - Adult Contemporary". RPM. Retrieved June 13, 2011.